There was not another country in the world on Monday whose nominally democratic regime was condemned so severely worldwide as the regime in Myanmar. The seven-year jail sentence awarded to two Reuters journalists ~ Wa Lone (32) and Kyaw Soe Oo (28) ~ for covering the state-sponsored massacre of Rohingyas, most particularly the killing of ten Rohingyas by soldiers and Buddhist villagers at Inn Din in the state of Rakhine, signifies a travesty of justice and an unabashedly severe blow to the certitudes of press freedom. It is not merely Myanmar’s standing in the comity of nations that is at stake; more accurately, the country has for a while been in a state of unsplendid isolation. Additionally, the international reputation of the proclaimed lodestar of democracy, Aung San Suu Kyi, is in tatters and it shall not be easy for her and her country to shore up their images. 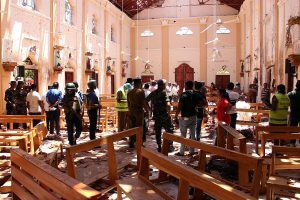 It has been a double whammy for the beleaguered country that has been floundering between military authoritarianism and “democratic” tokenism. The verdict comes in the aftermath of a damning UN report about the military’s treatment of the Rohingyas, which it said amounted to ethnic cleansing. More than 700,000 Rohingyas have fled Myanmar to bordering Bangladesh over the past year after a campaign of violence by the military. Both reporters have paid for their intrepid attempt to expose the truth. “The reporters’ coverage of the Inn Din massacre by the military was clearly in the public interest,” was the immediate response of the new UN human rights chief, Michelle Bachelet, a response that has been couched in the spirited demand for the two men’s unconditional release. Only last week, the UN had suggested that the army’s Generals be investigated and prosecuted for “gross human rights violations and serious violations of international humanitarian law”. No less crucially, the report had criticised Suu Kyi for having failed to support the Rohingyas, let alone condemn the systematic persecution and the resultant homelessness. Markedly on Monday, she lacked the nerve to condemn the sentence. Her intriguing silence suits the junta perfectly. The trial in itself was a travesty of justice. 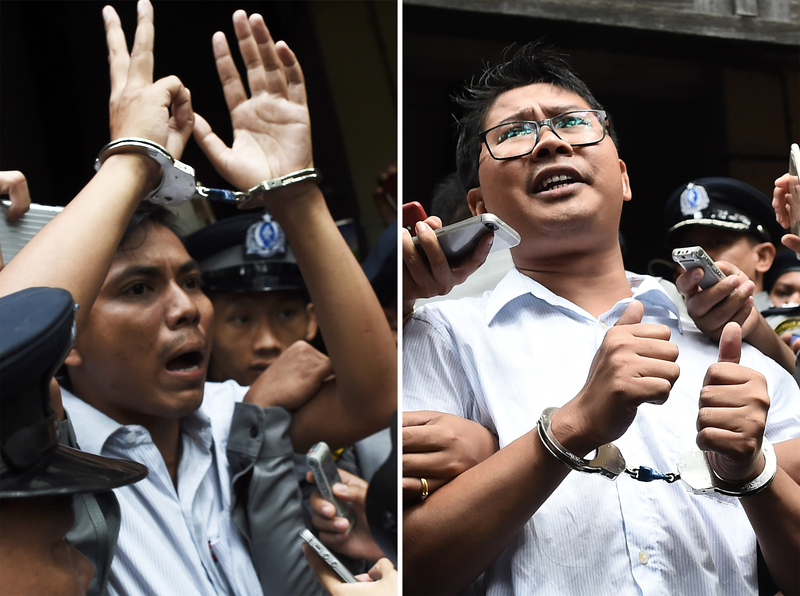 The conviction of Wa Lone and Kyaw Soe Oo is said to have followed a legal process that clearly breached international standards. It has emitted a dire signal to all journalists in Myanmar that they cannot operate fearlessly, but must make a choice between selfcensorship and prosecution. The quest for truth has driven the two Reuters reporters quicker to prosecution than to a scintilla of justice. Remarkably succinct has been the official reaction of Reuters ~ “a major step backwards for Myanmar”. The wire service could not have been more objective in its assessment. The country has failed the test of progress towards democracy just as Suu Kyi, once the advocate of a free press, has failed in court.